Bloody Genius! Thanks so much, worked like a charm! Thank you so much – this was EXACTLY what I was looking for for days. I was amazed others need this also, but judging by the dozens of comments, this is a widely necessary link creation method. You’re welcome, I’m glad we were able to help you figure this one out and judging by the amount of traffic this post gets it’s something that lots of people are searching for help with. Exactly the information I required. It was deceptively simple, but then again nothing is as straight forward in Windows as it ought to be. OS X will rule the World one day 🙂 sadly, like many others, I’m stuck managing a windows environment at work but it’s all OS X at home. Really useful way to do this. I searched in vain for a solution to a simple problem: In schools they usually have a default browser which cannot be changed to another. Some websites don’t work properly in Explorer (usually the default that is set) but work fine in Chrome. This method has provided me with the means to set up a shortcut to run Chrome and open a specific website – which for 5 and 6 year old kids is much easier than getting them to key in the URL! Many thanks. Thanks for your comment Keith. It’s frustrating that this is still an issue with Windows 10, you would hope Microsoft would have made it easier to pick a default app for a shortcut by now. Win XP, Vista, 7, 8 and 10 all have this same niggle. All of these solutions assume the shortcut will only be used on a single machine, is there any way to launch a link within Google Sites using IE 9+ (Win7) on different machines without asking all the users to create shortcuts ? Sure, you can setup a GPO (Group Policy Object) that will create a shortcut on the user’s desktops for them. I found a simple way to open an internet shortcut in XP in any browser I want without making any changes to the shortcut. If someone has already mentioned this I apologize, but I haven’t seen it in this thread. Simply put a shortcut to the non-default browser “exe” file in the following folder: C:\Documents and Settings\”User”\SendTo. Then right click on any internet shortcut and send it to that browser. Works like a charm for me. lot of thanks….i was thinking to write script. 🙂 but this is the simplest solution i never think about. always my head works in a complex way. again thanks. 8) Select the browser you wish to modify from the left column. 10)A list of options will appear, check each blank box that you want windows to open or assign shortcuts to, with the browser selected in step 8. 11) press “Save” and close all windows. Btw – I’m not railing on Chrome other than for their invasive distribution tactics! I prefer clear choices as to exactly what is being installed on my computer. And when it is installed, I expect to be able to choose exactly what functions it will take over. “Simplicity” seems to override freedom in this regard. Thanks for the blog post. Very helpful. This is exactly the solution that I have been searching for on and off for about 6 months now! THANK YOU THANK YOU THANK YOU! I went ahead and named the shortcut Yahoo Mail and clicked finished. I now had a shortcut on my desktop that would open IE. When the properties box opened, in the target field, I added one space at the end of the IE command and then typed http://mail.yahoo.com with no quotes. I hit apply and closed everything out. The next time I clicked the shortcut, yahoo mail opened in IE. Just to make it easier on her, I went back and right clicked on the shortcut, chose properties, then chose Change Icon and replaced the IE icon with the Yahoo Icon (I did a search on my compter for all icon files to locate it). When I try to launch the shortcut, it will not launch anything. I’m having the same problem was “Steve March 17 2011” with the extra C:\ being added to my shortcut. Apparently he figured out how to fix it, unfortunately he didn’t say what he did, too bad! Thanks that will save tons of time for me instead of having to switch back and forth. Fantastic site. A lot of helpful info here. I am sending it to some friends ans also sharing in delicious. And naturally, thank you for your effort! I would thank the website about this shortcut url, I fixed the server after an issue with the old shortcut we had that users click on it and they get to the print Properties. Short, sweet and accurate. Exactly what I was looking for. This was very helpful. I tried to modify shortcut after creating it but I was having a horrible time. My default Internet browser is IE. I created a shortcut from the beginning and was able to add firefox program location and then the url and that did the trick. Had a shortcut that was routed to IE added chrome routing info and won’t work. Disregard previous comment. I figured out the error of my ways. The first c:\ gets added by the system. I’ve tried deleting it but when I hit ‘next’, it’s right back with the extra c. Any ideas? Thanks bro, just what I needed. Ok guys, that’s nice solution…But I’ve question here..I use Iron browser (sometimes FF), and I need IE for some work pages..
Hey Scoopz I just downloaded Chrome and i’m having some troubles with my original IE shortcuts .. I had the same problem as LeonardG. I’m running vista with IE8. Credit to Scoopz. This is exactly what i needed. @Alex – Thanks for the feedback. I don’t have Vista on any work computers but now that a few people have said it doesn’t work with Vista I shall update the main blog entry with instructions for those on Vista based on Xygris comment. The previous poster that complained his shortcut does not work likely edited a firefox icon. Also people that have installed IE7 or IE8 may need a new path for IE. 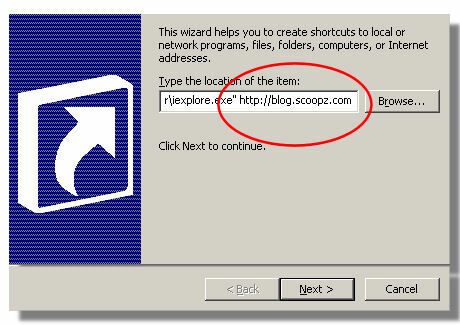 Search for iexplorer and create the shortcut from the found program by right clicking and select send shortcut to desktop. 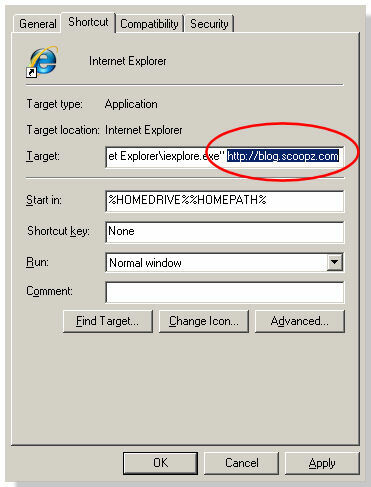 While using either method I get a message saying “problem with shortcut” then under that it says “‘C:\Program Files\Internet Explorer\iexplore.exe”mail.yahoo.com’ specified in the Target box is not valid. Make sure the path and file name are correct. I copied everything correctly (copy and paste) and as far as I can tell, did everything right. Can someone tell me where I may have gone wrong or am I just the lucky one who can’t do this? Try pasting that and see if that works? @David – Thanks for the info, sorry about wordpress giving you a hard time with the embedded HTML tags 🙂 I like the idea of having an active desktop with links to most used content and programs. I’m not sure how you could get around the nag prompt to open or save .exe files from the links though, there probably is a registry hack somewhere but I’ve not come across it yet. Let me know if you find out though. WTF?! I promise i wrote it unproperly!! I don’t know if it could help you guys, but i’ve programmed a dinamic website to run in my XP’s Active Desktop. I had the problem that i wanted the desktop, which runs on IE, to open the links not in some IE window but in FF. I achieved this by linking the FF.exe and passing the url as parameter. Notice the double quotes around the url as well!! It keeps always asking if i want to open or save the exe but, it’s best i could. Do you have any idea to avoid having to accept executing files?? Nice answer; clear, correct and to-the-point. What answers should look like! @Corey Z – It would be nice if you could have a bookmark in Firefox that then opens the bookmarked page in another browser (IE for example) but I don’t think that is possible. 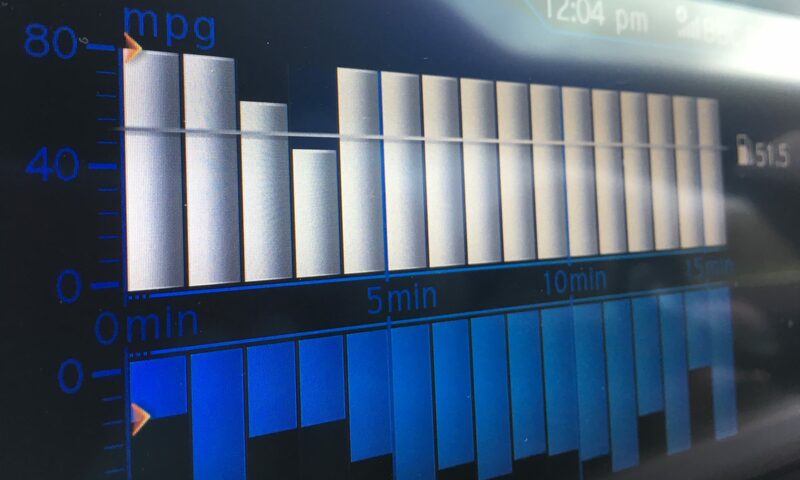 I’ve just tried a few different ways in my FF but couldn’t get anything to work. There are plenty of plugins for FF though so it may be worth looking at some of them to see if one already exists, if not ask the FF community if somebody could be kind enough to knock up a simple plugin for you, I’m sure there can’t be too much involved. If you do find a FF plugin that gives the desired result please do report back here with a link to it. Similiar to what I was looking for. Is it possible to have a bookmark located in the “bookmarks” list in your default browser (i.e. firefox) and when you open it, it opens in a different browser (i.e. IE)? I know it was that easy but your website made me feel better about doing it and not looking like I did not know what I was doing. Send me an email if you know how! Thanks in advance.